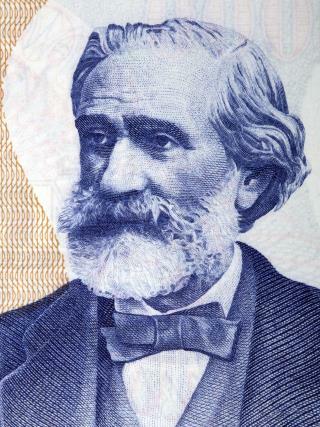 (Newser) – A 19th-century trunk filled with 5,000 pages of Giuseppe Verdi's "musical musings, stage directions, afterthoughts, and reconsiderations" has long been considered a "holy grail" of sorts, inaccessible to all but the most elite scholars. Per the New York Times, however, that trunk is now about to be opened up for all to see, despite the composer's initial instructions on the sketches and drafts he had for some of his most famous operas: "Burn these papers." For years the drafts sat locked away in their container in the family home in Sant'Agata, Italy, despite being deemed of public interest in 2008, with one expert calling it "intolerable" that academics have had such a hard time getting viewing time with the documents. But the contents of the trunk, which was moved to the state archive in Parma two years ago, are now about to go public, and it's a virtual treasure trove. (One of THE greatest composers ever). The wishes of the dead are immaterial- only thing they can continue to do is vote for Democrats. This is disgusting. Honor the dead mans wishes and burn them.